Even the most soundly constructed vent systems will deteriorate without adequate weather protection. That's why you should always use a Direct Vent Horizontal High-Wind Termination Cap with your horizontal through-wall Direct-Temp installations. With this rain cap it takes just minutes to provide any direct vent system with unbeatable rain, snow, and wind defense. Selkirk's Direct-Temp line of venting products stands out amongst its competitors because of its unique blend of versatility and strength. For example, how many other brands of piping are capable of venting corn, pellet, and gas heating appliances? And how many boast a construction resilient enough to resist corrosion and leaks, yet still appear elegant? This series also includes a variety of specialized items, like this Direct Vent Horizontal High-Wind Termination Cap, to help you find a solution for every type of venting challenge. 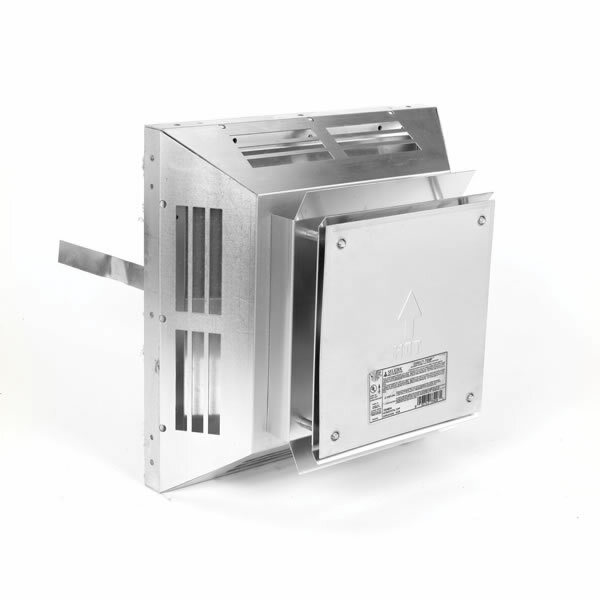 There's no better choice than Direct-Temp for convenient and reliable venting. What is the height of this product? This termination is a perfect 13 1/2 by 13 1/2 inch square.